18 cm 83 p. : ill. World-renowned teacher, Louise L. Hay has helped to heal and inspire millions of people worldwide. 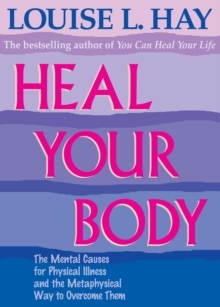 She was diagnosed with cancer more than 20 years ago and used the methods she describes in Heal Your Body to cure herself. Louise L. Hay simply explains how our attitude to life and the language we use cause our ailments. Using her simple and practical techniques, you will be surprised to discover patterns in your own ailments that reveal a lot about yourself. Just look up your illness or health challenge, and then find the right affirmation to break the pattern.